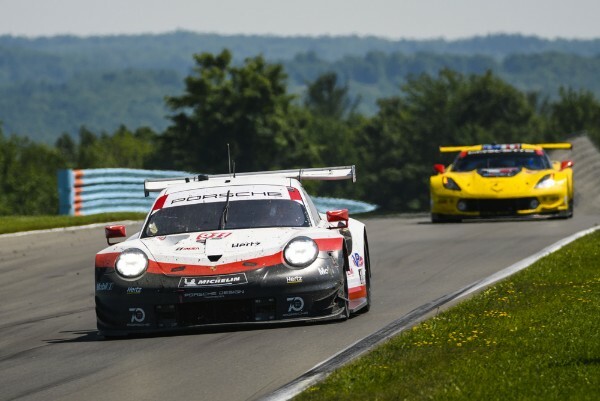 The six-hour race at Watkins Glen in the US state of New York turned into a heated battle: In temperatures reaching 34 degrees Celsius, the ca. 510 hp Porsche 911 RSR scored positions three and four. At round five of the IMSA WeatherTech SportsCar Championship on Sunday, the Frenchman Patrick Pilet and Nick Tandy from the UK crossed the finish line ahead of the sister car driven by Laurens Vanthoor (Belgium) and Earl Bamber (New Zealand). In the GTLM class, the Porsche GT Team has notched up two wins so far this season at Sebring and in Mid-Ohio. After five championship rounds, Porsche ranks second in the manufacturers classification. When the 42-strong field rolled onto the grid on Sunday morning, the temperature had already reached 30 degrees Celsius. In the GTLM class, in which four different automobile manufacturers fight for points, the two Porsche 911 RSR took up the race from the third grid row. Putting in swift pit stops and spectacular overtaking manoeuvres, the two vehicles battled their way up the field. Halfway through the race, they were running in first and second. When the safety car was deployed half an hour later, both frontrunners were struck by bad luck: Just as they were about to enter the pits to refuel and change tyres, the pit lane closed. Several competitors who were far behind managed to complete their pit stops shortly before this happened. This occurrence, however, threw both Porsche 911 RSR back to positions four and six. In the last hour of racing, Laurens Vanthoor in the #912 car was again hampered by a safety car phase and had to ultimately relinquish the fight for a podium spot. Porsche managed to earn important points towards the North American Endurance Cup. After three of four races, Porsche lies in second place. The long-distance classics that count towards this classification are the 24 Hours at Daytona, 12 Hours at Sebring, 6 Hours at Watkins Glen as well as Petit Le Mans at the legendary Road Atlanta, which is run over ten hours. Two Porsche 911 GT3 R contested the GTD class on the storied 5.472 kilometre racetrack. Patrick Lindsey (USA) and Jörg Bergmeister (D) occupied sixth place. Due to an accident, the duo were unable to take part in the qualifying and thus took up the race from position 18. Patrick Long (USA), Porsche Selected Driver Christina Nielsen (DK) and Robert Renauer (D) drove the #58 car sporting the US flag livery. The driver trio took up the race from eighth on the grid to cross the finish line in ninth place. 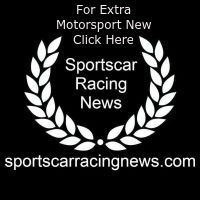 Round six of the IMSA SportsCar Championship will be contested on 8 July in the Canadian Tire Motorsport Park in Bowmanville/Canada.